It so often pans out that way when you begin a story. You whizz off the mark all pep and ginger, like a mettlesome charger going into its routine, and the next thing you know, the customers are up on their hind legs, yelling for footnotes. The members of the Yahoo! Blandings group have, for many years, undertaken the mammoth task of annotating Wodehouse’s books. The late Terry Mordue presented his portion of the work on his own website, now archived here at Madame Eulalie. But there are, and hopefully will continue to be, others in the field as well — Mark Hodson, John Dawson, Ian Michaud, Lynn Vesley-Gross, Neil Midkiff, Diego Seguí, and others as listed below have made contributions to this effort. See also Diego’s new page of Shakespeare Quotations and Allusions, which gradually will be cross-linked with the pages below as they are updated. We present a list of the annotations here, for easy access. In addition, some of the serializations on this site have been annotated; links to the opening episodes of those are preceded by the symbol ✏ in the list below. Annotations to the short stories on this site are continually being added as well; the symbol ✎ in the menus for each periodical indicates an item with significant end notes. Contact us if you are interested in contributing to the annotation effort. 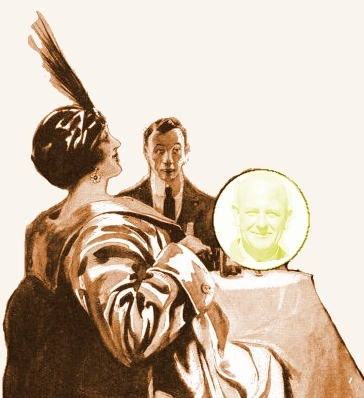 For links to Wodehouse annotations on other sites, see the Links menu.